Excuses, excuses, and more excuses. And yet, I'm starting to see a glimmer of hope! I'll cut right to the chase. The earnings for my site for the month of February was just $15.51 and that's terrible. I've got all kinds of excuses to tell you why my site hasn't been performing better. And oh, I'll tell them to you alright! However, despite all my excuses, I did manage to do a few things right in February, and my site REALLY started to show some signs of life near the end of the month. So, despite a terrible month in terms of earnings, the traffic trend is a huge spike up. And in particular, Google is finally giving me some serious love! I'll share all the details below. The best news of all? My earnings for March (just 4 days in) is already more than double as much as my earnings for all of February. It's time to end all my excuses and roll up my sleeves and get to work. Niche Site Project 4 is finally about to get interesting. Well, I already told you the earnings were terrible for February, and they were. The site earned just $15.51 for the month of February. Oddly, I earned exactly $8.00 on Amazon. Last month I earned exactly $6.00. I should do better at doctoring these screenshots to make them seem more legit! 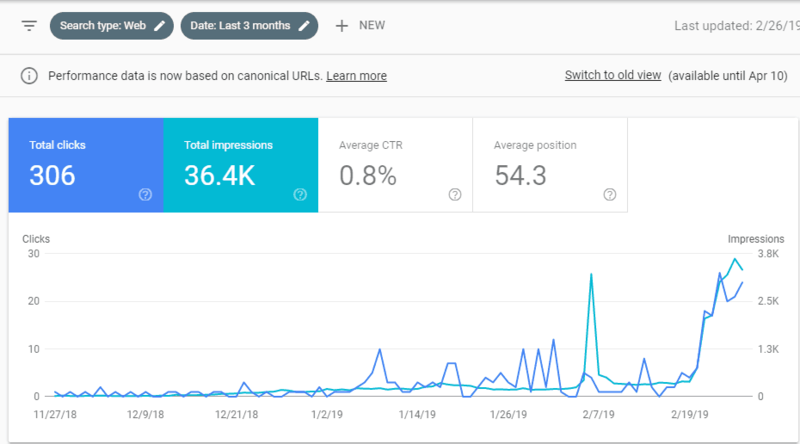 In the second half of February, I decided to try some display ads on my sites since the majority of the traffic has been social media traffic to unmonetized pages. I went with Ezoic as an alternative to Google Adsense. Ezoic ads brought in another $7.51. Again, these ads were only on my site for the last 2 weeks of the month. As a heads up, you typically need 10,000 pageviews a month to apply to Ezoic. However, I already had an approved Ezoic account from a different website, so I was able to add this new site without any issue. I plan to keep display ads running for the life of the site most likely. About 50% of my articles are more image heavy or information type articles that are not monetized by Amazon associates. As a result, I don't want to leave half of my site unmonetized. Now, I could go on about how bad it is for a site that is now officially 6 months old to be earning just $15 in a month, but I won't. I was expecting my site to be earning more by now, it's all very sad. So, here's the deal: I really haven't been putting much time and effort into Niche Site Project 4. First, I've been pretty busy with other aspects of my business. I have tons of other sites that I work on, and that has been eating up my time. As a result, beyond hitting “publish” when I get an article from my authors, I haven't been doing much. So, it shouldn't be much of a surprise that my site hasn't taken off quite yet. Excuse 1: I have too many sites and other projects and I haven't been putting any time into the site. Solution: I've been selling off my sites, so I can focus my time and energy on Niche Pursuits and related projects. Excuse 2: I'm down a couple of employees. 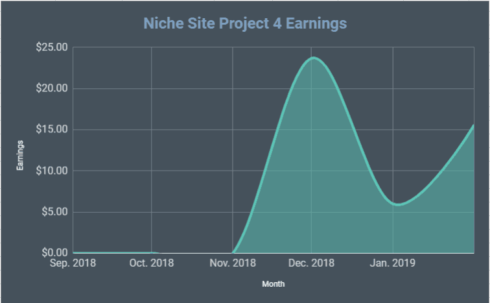 Right around the time I started Niche Site Project 4, one of my full-time employees took a job back in the corporate world. Then shortly after that, my other full-time employee Jake, just started making way too much money from his own affiliate sites, so he left me and is living his entrepreneurial dreams on his own. (I'm super happy for him by the way). So, my 2 superstar employees moved on and left me with all the work. Sure, I could hire replacements. But I've decided to simplify my life a bit. I'm selling my sites, just working with freelancers, and focusing on less projects. Solution: Scale back the number of projects so I don't need as many employees. Excuse 3: I was really hoping my site would take off without any link building. I know, I know…that's so 2014. Back in the day, I would build my sites with little to no link building and they would take off. As a result, I've mostly avoided link building up to this point. So, my excuse is that I've just been waiting around for Google to do its thing. Solution: I've started doing some link building in the month of February, and plan to double down on acquiring some quality links going forward. I'll share more details below on my plans for the site going forward. Thanks for hearing me out with my excuses. Now that the excuses are behind us, let's take a look at some of the positive signs I'm seeing and what my plans are moving forward…no more excuses! If you have questions about how many articles the site has, how much traffic the site is getting, and more….then this section is for you! Behold, the earnings history report. Overall, the site now has 92 articles on it. Of that, roughly half are targeting your typical affiliate type keywords: best, reviews, etc. The other half is articles targeting information or image type posts that can be shared on social media. Now I finally get to start sharing things that are more positive. Check out some of these screenshots of traffic and then let's discuss! Total sessions showing the trend since inception. Finally a big jump in February! The above screenshot shows organic sessions only. The traffic from Google and other search engines more than tripled from February. By far most of this increase came in the last week of the month. Notice the massive spike in impressions and clicks for the last week of February. It appears that my site finally got out of the sandbox and Google is showing me some love! The trend is showing good signs of growth finally, and I expect that the organic traffic for March will be significantly higher than February. So, why the sudden spike in traffic? Why do things finally appear to be moving in the right direction? Well, I'm going to share the 4 main things that I did recently to my site that may have led to the upward trend. Last month in my report, I discussed how my site was getting tons of automated spammy links. I decided to go ahead and disavow those links through Google Search Console on February 12th. I really don't know that this did anything for my site. The spammy links continue to come, and it wasn't until around Feb. 20th or so that things started to pick up. However, disavowing certainly didn't hurt me in any way. I also discussed some of the issues I was having with AMP in my last report. Google just did not appear to be indexing all of my AMP pages. I tried a separate AMP plugin for a couple of weeks, and I didn't notice any changes. After talking with a couple of people that say they never use AMP, I just uninstalled all AMP plugins. I was chatting with a friend of mine about the site and he said it was possible that some of my articles could be over-optimized for keywords due to the Table of Contents plugin I was using. In other words, my keyword density may have been really high because the table of contents plugin essentially repeats all the keywords that are in your header tags. I removed all Table of Contents from my articles and things started to improve shortly after that. Quick Tip: Removing the plugin would still leave the shortcode of [ T-O-C] sitting on all my articles, visible to readers. So, rather than manually going in and removing the [t-o-c] from all 90+ articles (which could have taken hours), I just did a find and replace and was done in a minute or two. I installed the Search & Replace plugin, then just searched for [t-o-c] and replaced with a blank space. Done. I finally started getting some links. In fact, a couple of days before I noticed my site jump out of the “sandbox”, I know that my site had been linked to by 3 or 4 websites on the same day. (The websites emailed me that they had just added their links, so I knew for sure when they had been added). 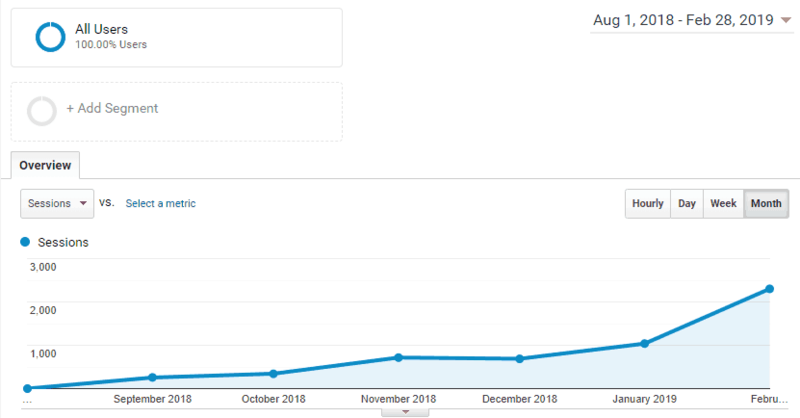 In addition, I had been getting a few more do follow links throughout the month and it appears that my site authority is starting to climb a little. So, which of these 4 things made the biggest difference? I don't know for sure. The uninstalling of AMP, removing TOC, and at least a few links all happened on the same day. Then the next day or two, my site improved. So, I can't isolate for sure what did the trick, but it appears to be one of these things. As mentioned, I started to do a bit more link building in February. In the past, I tried the Skyscraper technique and it produced exactly 0 links for me. So, I thought it was time to take a different approach. In order to stay completely transparent, I wanted to share my “link swap” strategy that got me 7 links during February. 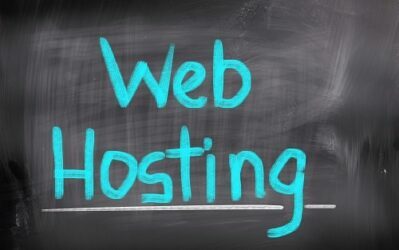 This technique requires that you have 2 websites. One that you are trying to build links to and one that you are willing to link from to other websites. The strategy in a nutshell: Email websites you want a link from and ask if you can link to their site from your Site A. If they agree, then ask if they will to your Site B from their site. Site B is obviously your niche site you are trying to rank. I emailed 200 websites and got 7 dofollow links from the sites (and I think I may still get a few more). So, the success rate is 3.5% so far. Much better than the 0% I got from the Skyscraper technique. Subject Link: Can I link to your site? I love what you are doing with your blog! I was wondering if it would be okay if I mentioned and linked to your site from mine: MynichesiteA.com? My NicheSiteA has a Domain Authority of 39. If you have a particular page on your site you would like me to link to, let me know. Otherwise, I can link to your homepage. If you are interested, let me know and I’ll get that added in the next couple of days. I just added a link to your site right here: <insert link>. In return, I have a small favor to ask. Would you be willing to link to another one of my sites? Are you willing to add a link somewhere from your site to one of those pages? I would be very grateful if you are able to do that. Let me know. Overall, it's a nice little link building strategy that I can use on a limited basis. Obviously, I don't want ALL the links pointing to my site to be ones that are a link swap like this; however, it's a great start. I was able to land my first guest post and it went live on March 1st. So, technically not in February, but all the work was done in February. I plan to start doing quite a bit more guest posting as a longer-term strategy for link building as opposed to the link swaps. The strategy here is pretty simple. Reach out to lots of sites in my niche and ask if I can write a guest post for them. I haven't perfected my outreach email template yet, but if things go well in March, I'll be sure to share what is working in terms of outreach in the next report. In staying true to sharing exactly what has happened with my site, I did quite a bit of blog commenting over the past couple of months. I hired a VA to do the blog commenting for me on roughly 100 sites. I'm not so sure this really moved the needle at all other than it got me domain and link diversity. In addition, the blog commenting did lead to the one guest post that I did, so that's a good thing. I did reach out to a few resource pages that I noticed as I was researching sites and tried to get listed as one of their resources. I think that only led to one link, nothing spectacular. Overall, my plan is to start putting more effort into link building going forward than I have over the past few months. Overall, the site has had a slow start, but it's finally starting to move in the right direction. The traffic and earnings should start getting much more interesting from here on out. Create an outreach email template for guest posting. Hire a VA to find and email potential guest posting opportunities (possibly using tools like Ninja Outreach, Scrapebox, or other). 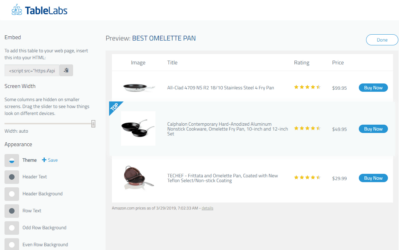 Add a Table Labs chart to all of my affiliate product articles. As always, I'll share the progress as it occurs. I'm confident the site will continue to grow even if it's not on a schedule that is as fast as I was hoping. I'm seeing good signs for March and I look forward to seeing what happens. 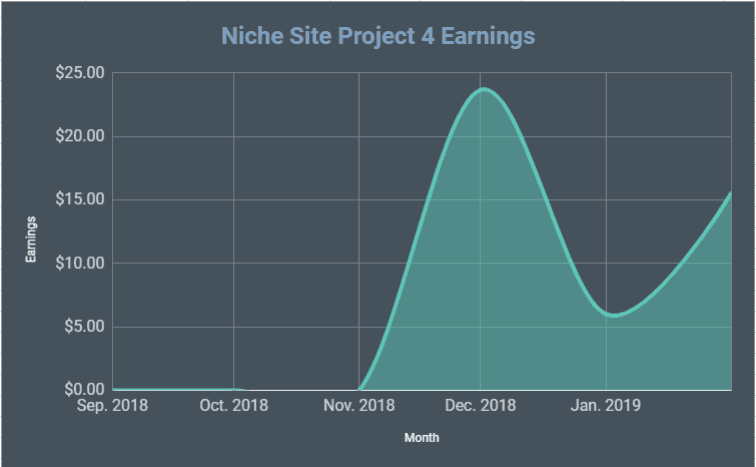 In addition to my own site, several other participants have been building sites on their own for the past 6 months and they are starting to see progress as well! Real Name or Nickname Number of articles TOTAL published on your site since inception? Number of Total “Sessions” your site received in February 2019? Earnings for February 2019? 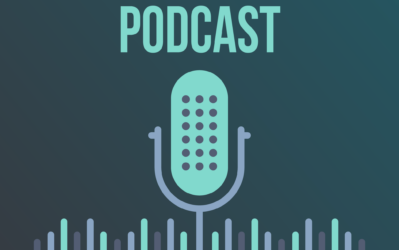 What was accomplished in February 2019 for your site? Didn't did anything new to the site, other projects having me busy. Check http://PinterestMakesRich.com/ for my public experiment project details. 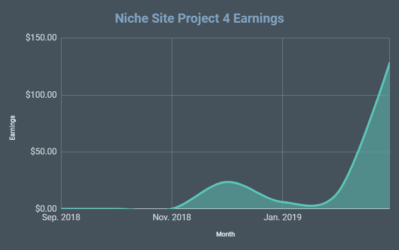 The site has earned a total $434.50 in 6 months; and the traffic is increasing. It is highly possible that I'll earn more than $200 in March alone. 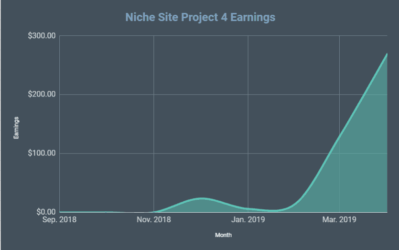 Had to put the niche project on standby mode in February due to a very time consuming (but lucrative ;-)) freelance project for a big client. Got 7 Orders. Focus on improving on page SEO. Some keywords going to top 10. Last week I try to do some guest post. Hope it will help to rank. Overall it was a great month in term of traffic as well as earning . traffic hit 3000/ month (200% plus increase)& earning upto $255.44 upto 400% increase. We accomplished nothing, and that´s bad. Time is the issues, so we wrote way too less content, but the traffic is coming already without backlinking, as it´s all natural. Next fase in marketing will start in April, so we need content this month! 1 New video and 3 new posts. One video at 33 views which is not bad for a targetted video. Bought a new table for product demonstrations so looking forward to using it. 700 Pinterest followers, 6k Instagram, new logo and some design and conversion improvements. Also got several more Authority links DA now 20. New design, new articles, further research to turn it into a authority site! 15 more articles published and continued Pinterest strategy. Google traffic up from 1280 to 3029. 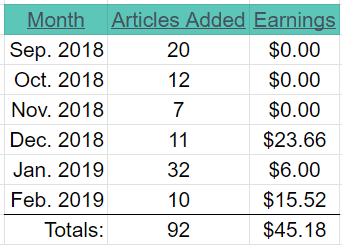 March is monetization month for me and will also improve internal links. Just signed up for Ezoic ads. 1st page Ranking of some keywords and around 25% keywords are in top 10 position. Keywords are starting to rank. Around 25% keywords are in top 10 positions and total 60% keywords are in top 30 positions. Site was first established 1 Nov 18. Month of Feb was a little slow for content creation. Posted 3 new posts. Writing all content on my own. As soon as site makes a bit more money I will outsource more content. Published one post, added Adsense last week. Wrote 11 posts for (wanted to write 15) but I am happy that I got so much writing done for that site. I have yet to post all 11 and that should bring more organic traffic in March/April. I plan on writing another 10 posts in March brining my total to 26 blog posts and about 50,000 words. Worked a combined 80 hours on both manuelbecvar.com and affiliate site number 2. Installed rank math.com on site 2 to give it a trial (instead of YOAST SEO) – I read in communities that it is better and more efficient than YOAST SEO. Will see how that reflects in results in March. I have grown social media to a total of over 1000 followers (Facebook & IG combined) from 0 in January. Also got about 260 subscribers to my email list since inception (January 6th). Ordered a complete seo pack(links, social signals, web2.0s, blog comments). This month i hired one more writers. She is very good and she has the capacity to write 20 articles per months. Next couple of months is going to be very crucial. Started publishing articles. Slowly started to index all the pages in google. Wrote 3 buying guides. Really didn’t get a lot done this month as I had to work on other things. I have published a few more articles and worked on improving article templates. Also, developing a new link building strategy that I hope works in the long run. At the moment DA=21 and growing. Sales are definitely coming in, after just a bit more than 4 months since I published the first article, 14 items shipped which is awesome. I started my site in January. In February I hired a writer for some articles and a social media VA. My engagement numbers are all skyrocketing. Added 2 new articles and changed some of the old ones. Integrated eBook for sale and refreshed current content to improve as rankings start to improve. Published new article also create links. Published 7 articles in Feb and nearly doubled my sessions. Made a very slight design update and started adding posts to Pinterest. 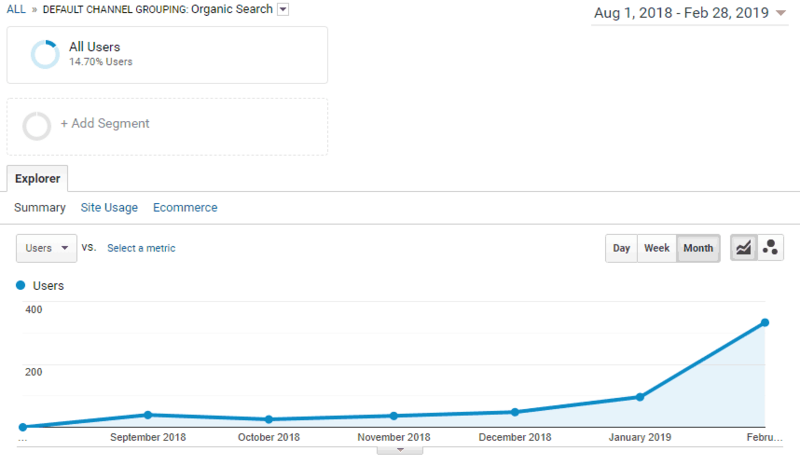 Published one new article, optimised two articles for keywords, continued to build links, had two Pinterest pins go viral and bring majority of traffic to the site. Pinterest still remains primary traffic source. Built 16 links, published 4 articles, got some social going, identified 10 great keywords. One thing that is super obvious is the Sandbox. Do you think building links earlier would have improved things? Or a burst of paid social media traffic? How do we convince Google that our content is worth visitors a lot sooner? It’s getting tough for new people who are starting right now. Patience is slowly becoming the name of the game! I do think that more links, sooner would have helped. Patience is indeed important. I really enjoy this article that talks about niche site journey like this one. I curious to see how Link swap and guest post work for your site in long term. In February my 5 months old niche site earn $386. I happy with this result because I live in 3rd country world (SEA) and $386 is a big deal. It’s great what you are doing, because it’s good to see a comparison. I learned a lot from your articles, I have read them multiple times. My site is 1 year 3 months old and I have been using long-tail keywords and some guest posts. I am not using Amazon, but a different affiliate program. On March 1 I got paid $573 in commissions. Commissions are 30 days delayed because of potential refunds, but I already know that my February sales amount to $1,042 in commissions and in March so far it’s a bit over $300. The best part is that I am only getting about 1,500 organic visitors a month, so there is space for improvement. I was going to give it up last year am really happy that I didn’t. Glad you enjoy the updates, Peter! Sounds like you have a great site on your hands, nice job. It’s really interesting to read about your progress. Just one question. Do you always focus on creating about 50% content targeting reviews and “best of” articles? Is this the key to increasing affiliate sales, would you say? The ratio isn’t always 50%, but I do like to focus some on informational articles because I believe that sites that are 100% affiliate content don’t do as well (that’s the theory anyway). That makes sense, thank you Spencer. I think I’ve been focusing too much on informational articles and not so much on other types of articles so I think I have to change my strategy a little bit. My ratio has been more like 20% v 80% which I am guessing is not the best approach? That sounds tedious. Do you hire some kind of professional outreach service? You can use VA for this type of boring and repeat tasks. Focus on creating high quality content and outsource the rest. No, just a VA. You can also use tools like Gmass to speed up the process. (I didn’t because this was more of a test before I scale further). No, the commercial content is much longer. Usually twice as long as the informational articles. Thanks for your Niche Site update. Which site did you use to hire your VA for the blog commenting? Your traffic seems quite high for the earnings. Is majority of the traffic coming from Google or Pinterest? I’m focussing on Pinterest and Instagram marketing for my niche site this month. No noteworthy earning yet, though! Pinterest is more of the traffic right now. Hi Spencer, looking forward to the march report already. Can you go into more detail about your blog commenting tactic? Are they blogs in the same niche? Do you always drop a link back to your site? Yes, they are almost always blogs in the same niche. And yes, I always use a link (not in the comment itself, by just as part of my name). Thank you for this post and for this awsome project you are sharing with us. After years of following you, I personally decided to start my own niche in January thanks to you. not everybody has a site with a DA of 39 under their hands), or posting 32 articles in January (a beginner cannot afford that). Anyway this project is still amazingly valuable and helpful for me, but I just wanted to share my thoughts. Congrats on starting your niche site in January! I keep hearing negative things about swapping. You think its just a preference thing or is it risky? If it’s a minor part of your link building, I don’t think it’s that big a deal. How do you find the website which is perfect for the link building. Just check the DA and PA or you want some organic traffic as well? Yes + relevant to my niche. (Make sure the site looks legit/real site). Do you think it is harder to build a niche site in 2018/19 than it was in 2015 because of market saturation and potentially google algorithms? I’m debating starting an affiliate site what are your thoughts on difficulty for a beginner to make a decent affiliate site that ranks in 2019? It’s definitely different and takes a bit more work, but there is still huge opporutnity. Great article, I’m on the way to create a perfect blog. Hi Spencer, great article. I was wondering with all the content you produce such as copy writing, does your niche site have many unique images? If so who do you use to produce such images. I have a niche site that is image heavy do you have any suggestions for me? Would love to see a post specific to generating Pinterest traffic. Glad I found this site! You can either take your own images or use stock photos, I use shutterstock for all my images on this particular site. You have quite a huge resource here for a newbie. I am just a beginner from Nigeria, i want to venture into affiliate marketing, preferably Amazon. Although, my country has been on the news lately for bad reasons, I want to toll the legitimate path. There’s a problem which is, its harder to buy stuff like themes, tools and other premium stuffs than it is to crack a rock here in nigeria because of dollar to Naira exchange rate. Now Spencer, can you please enlighten me on the best way to do blog commenting and how to place your site link. Do you just place your homepage url on the url section or a post url from your site? Yes, just put your homepage URL (or a subpage) in the URL section.